Carbon dioxide builds up in that thin blue line of atmosphere around the planet and reduces the amount of heat that can reflect back out of the atmosphere. What is our homework assignment? Step by step we need to reduce our carbon emissions by 80% of 2005 levels while increasing our ability to draw carbon out of the atmosphere. This means we are heading into a clean energy economy using solar, wind and geothermal to create at least 75% of our energy instead of the 75% of coal and fossil fuel that we use now. We also need to plant and protect our greenspaces which absorb CO2. If you think there is even a remote possibility of something as catastrophic as climate change shouldn't you take precautions. If your still not convinced climate change is a problem even after all these storms and fires and if you still think the majority of the scientific community has it wrong, that does not preclude you from proceeding cautiously. Just like humans the planet needs us to be cautious with its health. Taking care of it also takes care of yourself and your family. Step by step we can reach our goal! Incremental progress made regularly can get us to our goal. If the entire energy landscape made annual progress, reducing climate-warming gases like CO2 by 5% a year, we could achieve a carbon balance. Steps in energy efficiency, new clean technology, taxation, carbon pricing, and conservation, as well as everyday savings with less food and material waste all add up to make a collective big difference. We have already made progress. We have increased our wind and solar power 1000% in the last five years. We need to continue this shift, to make incremental progress as even at that pace it is less than 15% of the total energy needed in the US. We still have a long way to go to keep our kids safe. I like to think of carbon as natures currency. Nature stores carbon in trees, plants, soil, coal and oil and it releases carbon in combustion and the decomposition of organic material. As we have gotten a bit wild in how much CO2 we burn we essentially have built up a carbon debt to the environment that is compounding. There is a cost associated with drawing down CO2 in real dollars of about $36 a ton. The cost to infrastructure, health care, animal populations, civilizations may be much higher. Currently, we are not paying that cost we are leaving it much of it as an unpaid debt that is adding up to trillions of dollars. We are using more resources than the planet can expend and we must change our behavior today to avoid more catastrophic changes, more debt and less quality of life. We already have mass extinction, millions of starving children, wars and a growing number of climate refugees. What will it take to inspire you to change your behavior and protect your children from the devastating effects of the fossil fuel industry? A Buddhist saying is, eat half, walk double, laugh triple and love without measure. 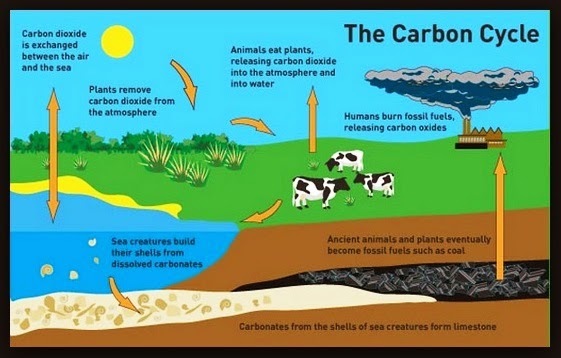 How does carbon effect the environment? Carbon is a building block of life and a form of stored energy. When fossil fuels are burned for energy (combustion), carbon is released. Carbon compounds move through plants and animals, the air, the ocean, and the earth. Carbon present in the air as carbon dioxide contributes to the "Greenhouse Effect" and related global warming. "Carbon sequestration" describes both natural and man made processes for capture and long-term storage of carbon that are being employed to combat global warming. Follow the links below to learn about the carbon cycle, the greenhouse effect, and ways to reduce carbon dioxide emissions. Carbon is present throughout the natural environment in many forms. Carbon is present in the air as carbon dioxide, and contributes to the "Greenhouse Effect" and global warming. Efforts are being made to reduce the amount of carbon dioxide in the atmosphere to counter this effect. The average American carbon footprint is a whopping 20 metric tons a year! This includes the emissions from your home, car, air travel and everything you use and eat. See how you compare and then take a few simple actions that can make you Cooler. Check out how cool you are with this carbon calculator. How do I shrink my carbon footprint? 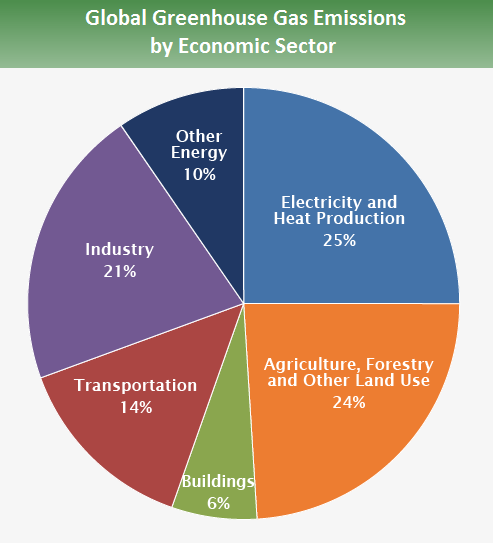 In addition to making your home more cost and energy efficient, driving fewer miles and reducing meat consumption, there are many energy efficiency and conservation practices that reduce the consumption of carbon-based fuels (e.g., natural gas, oil, coal, or gasoline), decreasing carbon dioxide emissions. What You Can do at Home. Making a few small changes in your home and yard can reduce greenhouse gases and save you money. Explore our list of 10 simple steps you can take to reduce greenhouse gas emissions at the link above.